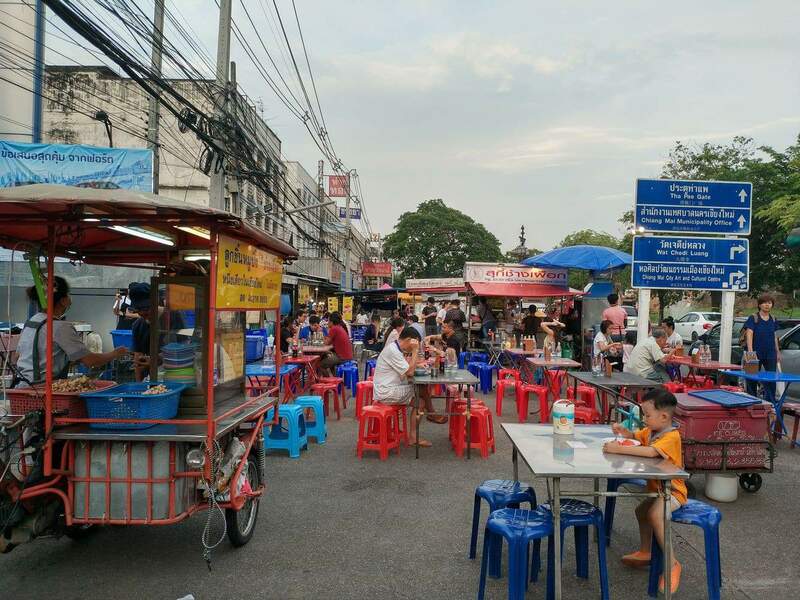 The Chang Puak Market is a food market that sets up every evening just outside the north gate (Chang Phuak) of the old city. 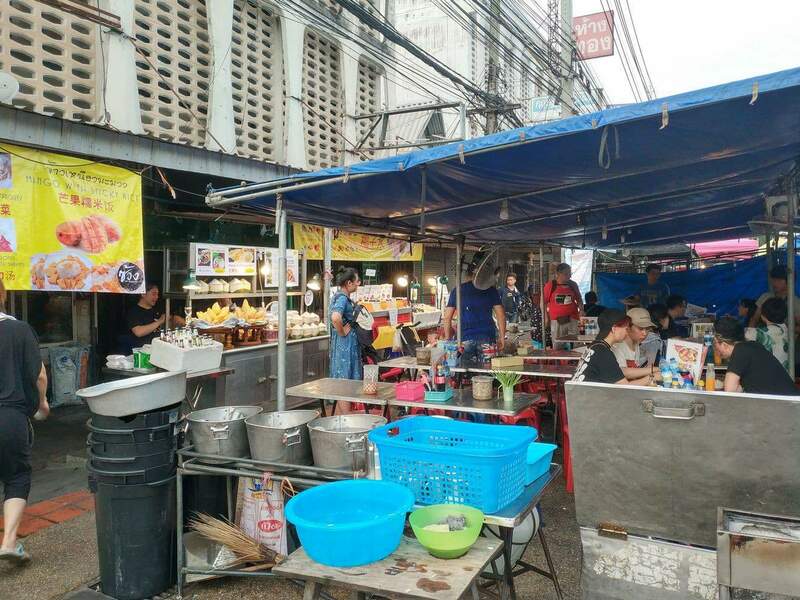 With many vendors offering a range of authentic nothern-Thai dishes, the Chang Puak Market is a great place to grab a cheap and tasty meal during your stay in Chiang Mai. 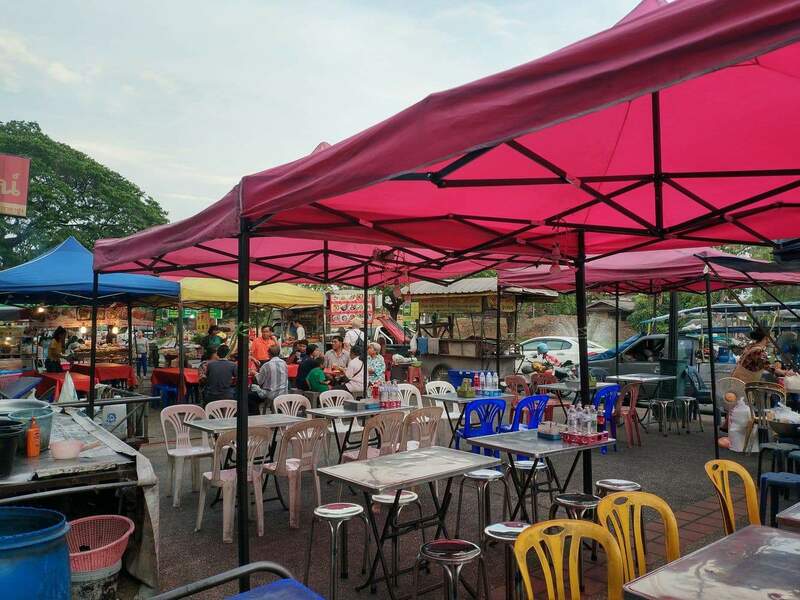 You will find all kinds of dishes here including noodles, soup, seafood omlets, skewered meats, fresh fruit juices, crepes and Thai desserts. 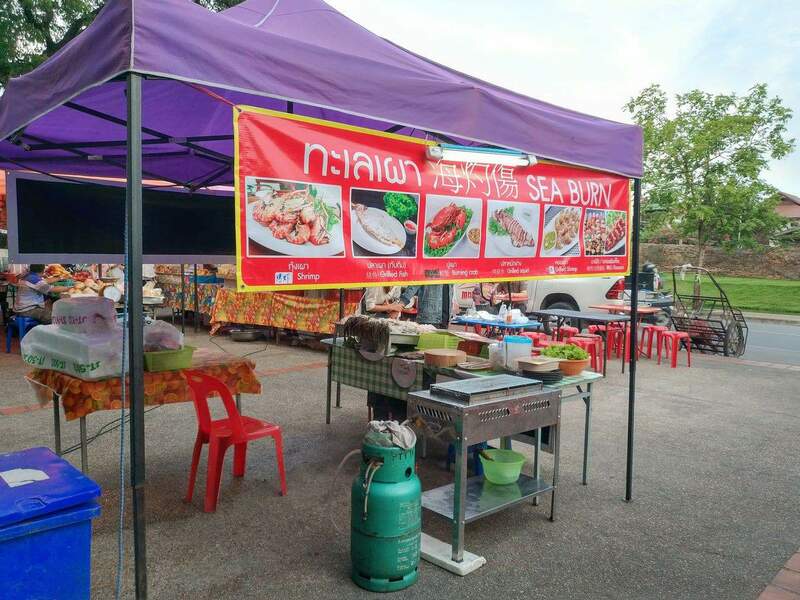 Prices are incredibly cheap with most dishes around 40 THB and only a little more if you add seafood. 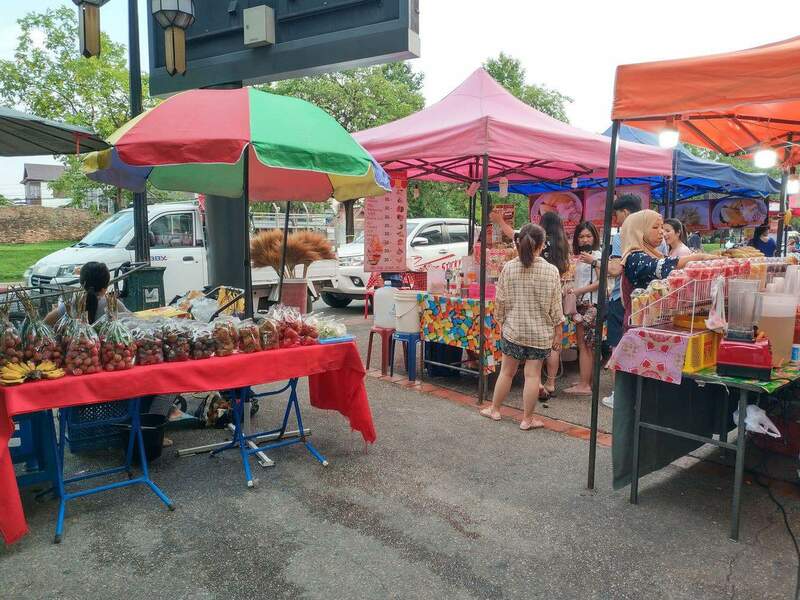 You can buy chicken satay skewers or a stick of pork balls for as little as 10 THB a piece! Food is served to eat in or take away, so if you want a truly authentic experience, pull up a tiny plastic chair and order your food to be served there. 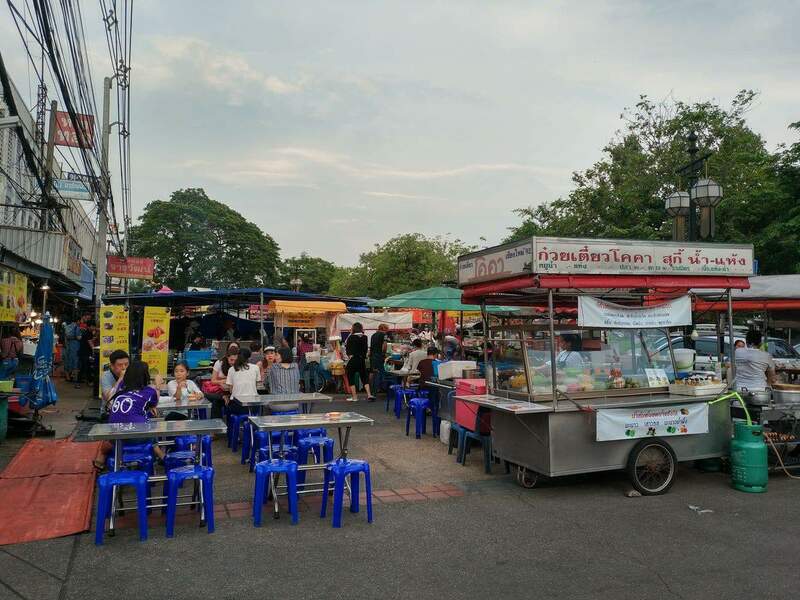 You will find the market on the exterior side of the moat and it opens in the late afternoon (after 5pm) and stays open until 11pm-midnight, depending on how many customers there are. 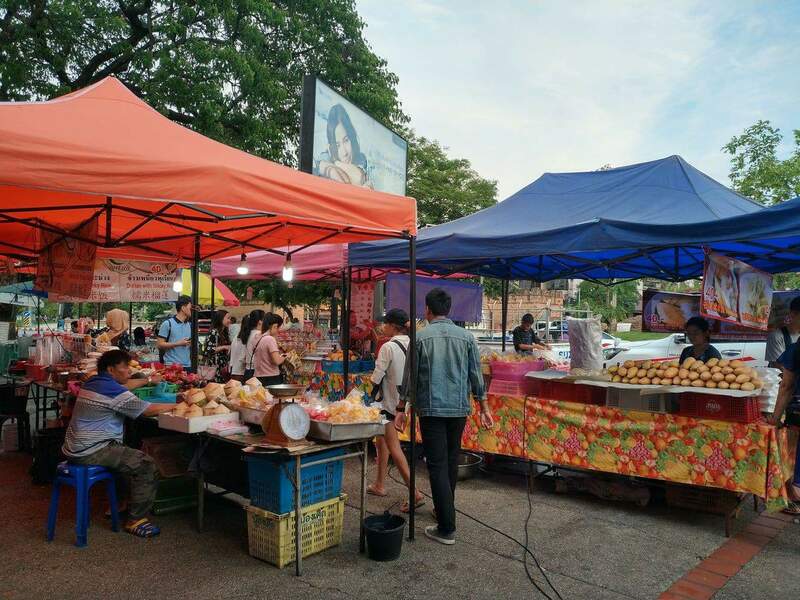 During the day, there is a small fresh food market opposite the square where you can also purchase fruit, vegetables and snacks. 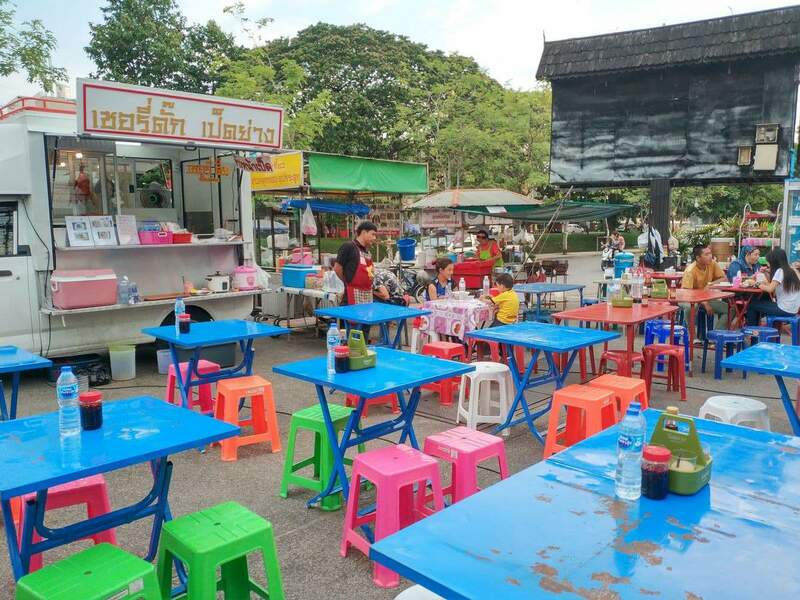 So come and blend in like a local and order some delicious Thai food from the stalls at the Chang Phuak market.